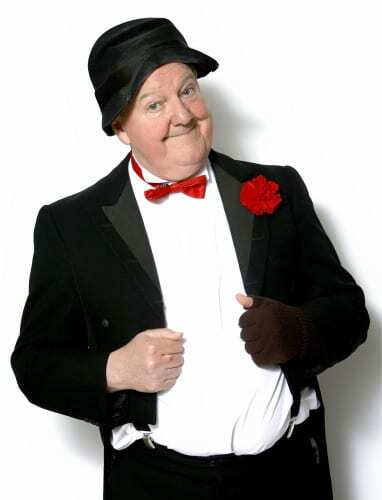 Ever-popular comedian Jimmy Cricket returns to Stockport’s Plaza Theatre later this month with a show designed for all the family – it starts just after Sunday lunch! Veteran entertainer Jimmy will bring his Value for a Tenner show to the Greater Manchester town on 25 January with the performance due to start at 3pm. All adults tickets are just £10, with under 16s priced at £5 (as long as they are accompanied by an adult). Jimmy said: “I always enjoy visiting the beautiful Plaza Theatre in Stockport – it is without doubt one of the most stunning and atmospheric auditoriums in the country. “I hope for my visit this time that 3pm on a Sunday afternoon will allow for the shopping to be completed the day before and for the family to all come after their lunchtime get-together. This will mean a chance to laugh off the calories for what will be a lot less than your typical family trip to the cinema. This is a special year for Jimmy as in October he will turn 70 and plans to celebrate the big occasion include a charity fun run near to where he lives in his adopted hometown of Rochdale.